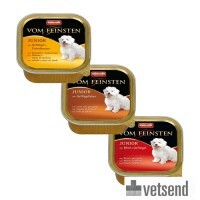 Since its establishment in 1991, Animonda Pet Food has focused on the nutritional needs of both dogs and cats. 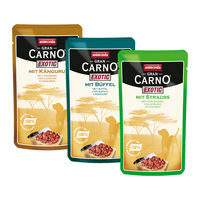 The German brand exclusively sell their high-quality dry and wet foods through specialised dealers, breeders and veterinary practices. 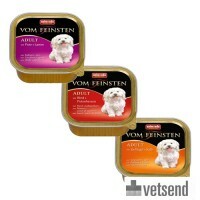 Order Animonda exclusively at Vetsend! 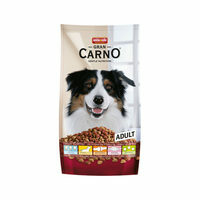 All of the products are manufactured abiding by the newest scientific insights into healthy and sustainable pet food; natural, genuine and free from colourings and flavourings. 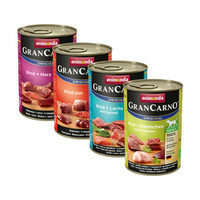 Fresh ingredients are carefully selected and prepared in such a way that they maintain all of the essential nutrients. 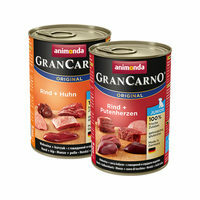 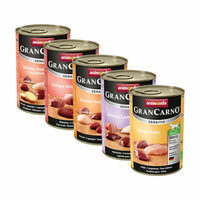 Animonda guarantees transparency, in that the content of their food is specified on the packaging. 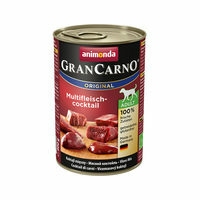 To meet your pet's specific needs, there are different products within the different collections provided by Animonda, all of which contain a varied and balanced diet. 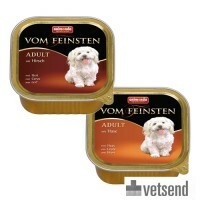 The Vom Feinsten assortment of wet food are created based on age, weight and level of exercise and include: Classic (normal needs), Light (low calories), Mare (with fish) and Senior (for older dogs).